If you’re a human being and you’ve set foot in a grocery store, you’ve definitely heard about the many fads in the realm of “super foods.” Some are here to stay, but most aren’t. They fade from public consciousness before we can even get a definitive read on whether they’re actually good for us or not. But one super food that has been a mainstay longer than most. 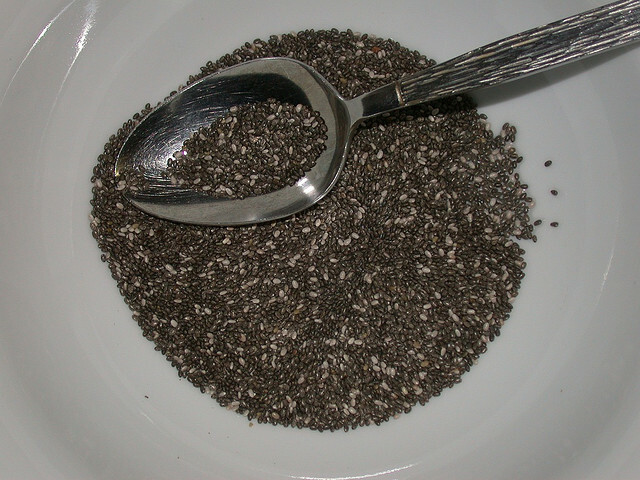 Chia seeds have turned up in the news again after almost killing a man. Yes, you read that right. This was a rare and unusual case, but the warnings issued in the aftermath of the incident point to a larger problem with health food trends. Media hype tends to focus only on possible benefits of these foods, and in turn leads the average consumer to believe there is nothing negative about the products. Any exotic food product that may have some sort of health effect has likely been called a “super food” at some point. This isn’t a regulated term; it’s pure marketing. But to those who don’t research what they put in their bodies, the label may make them less cautious in their consumption. Any food can be bad for you, but with super foods (which tend to be natural and touted by healthy eaters) it’s harder to tell. Some super foods are normal, ones that we’ve all heard of: sweet potatoes, walnuts, avocados, and basically anything else that comes from Mother Earth (surprise!). But most people couldn’t even say what exactly a chia seed, flax seed, or amaranth is. They’ve been told they’re good for you by friends, family, and the insidious marketing at Whole Foods, and that’s enough. But with exotic names and high levels of purported nutrients comes confusion. The man who was almost killed by chia seeds tried to eat a tablespoon of them all at once, completely dry. For the uninitiated, chia seeds supposedly fill you up because they grow exponentially in size when wet, and develop a thick, gel-like coating. In this case, that process created a blockage in the man’s esophagus that took hours to remove. In his apparent quest to acquire the benefits of chia seeds, he didn’t determine the proper way to prepare or eat them and suffered greatly for it. It turns out chia has had other problems. A brand that produces chia seed powder issued a voluntary recall after possible salmonella contamination. It seems like every day there is a new study telling us that things we previously thought were health actually aren’t. For example, eating too much kale can contribute to hypothyroidism. Excessive consumption in general isn’t good for you; people forget that because they think “healthy” is a zero sum game. Of course, the media in general tends to wax poetic about trends and then jump off the bandwagon once the messy truth starts to come out. The American people love to watch anything fall from splendor, after all, even something as mundane as food. The trick is, know what you’re eating before you eat it, and don’t be weird. Those chia seeds are not going to taste good dry, and there’s a reason for that.